London Transport Museum is housed in the old Grade II-listed Flower Market building in Covent Garden Piazza. 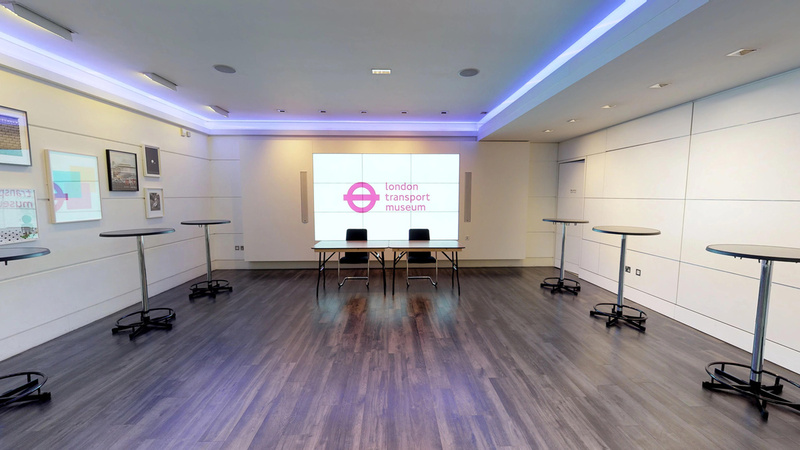 The Museum explores the story of London and its transport system over the last 200 years, highlighting the powerful link between transport and the growth of modern London, culture and society since 1800. 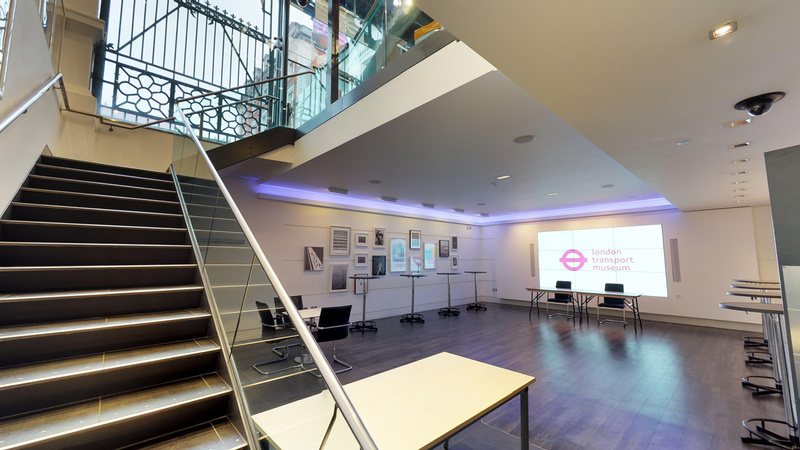 Supporting the renovation and rejuvenation of the Cubic Theatre & Foyer, Sysco installed a state-of-the-art audiovisual experience worthy of inspiring delegates at professional venue hire events. 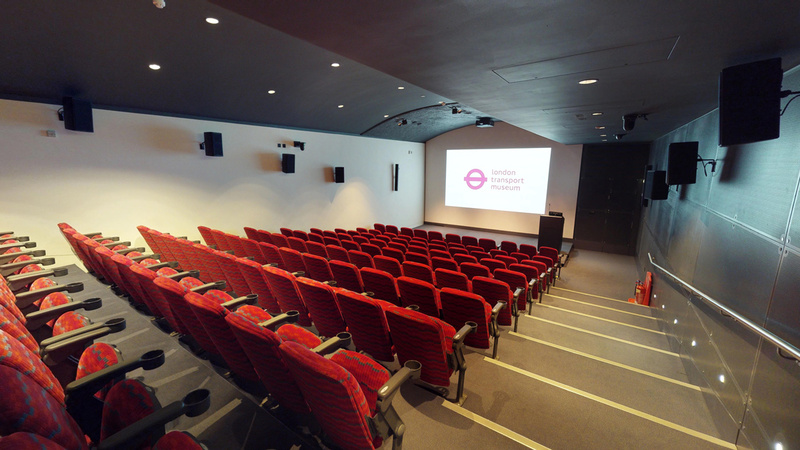 Situated on the lower ground floor below the museum shop, the theatre and foyer are used for over 100 events annually, consisting of daytime and evening presentations, product launches, talks, meetings and occasional film screening. Originally installed in 2007, the outdated audio visual system required upgrading to bring it in line with current industry standards and continue supporting this significant income stream. 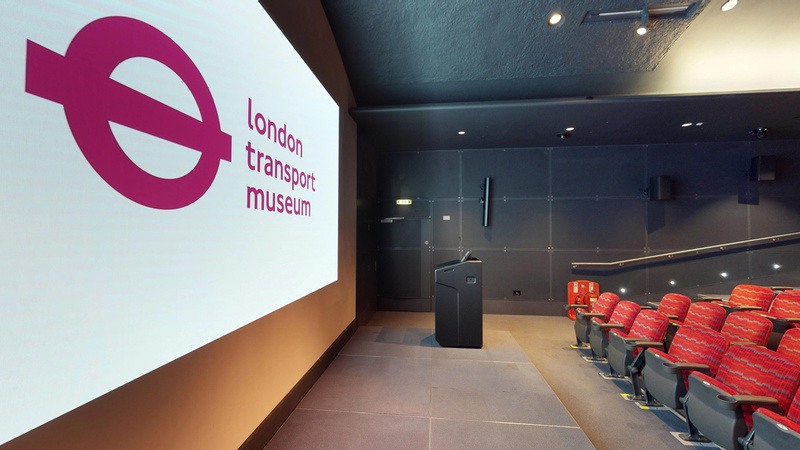 Working with London Transport Museum, Sysco helped to redesign the projections and control systems, proposing technologies that would perfectly fit the requirements of the historic space and deliver a high quality multipurpose auditorium suitable for professional business conferencing. The previous analogue system was replaced by a True 4K DCI cinema projection, providing end to end video distribution. 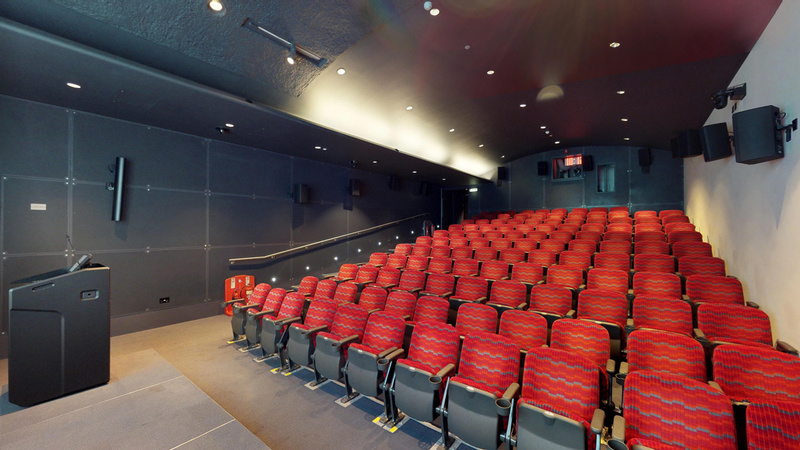 Film screenings and presentations can now be beautifully displayed to a standard equal to that of high-end cinemas. The exemplary projection is perfectly complemented by a 7.1 Dolby Digital surround sound system, which delivers high quality audio. Creston Airmedia technology provides wireless connectivity for phones, tablets and laptops, enabling speakers to present wirelessly. 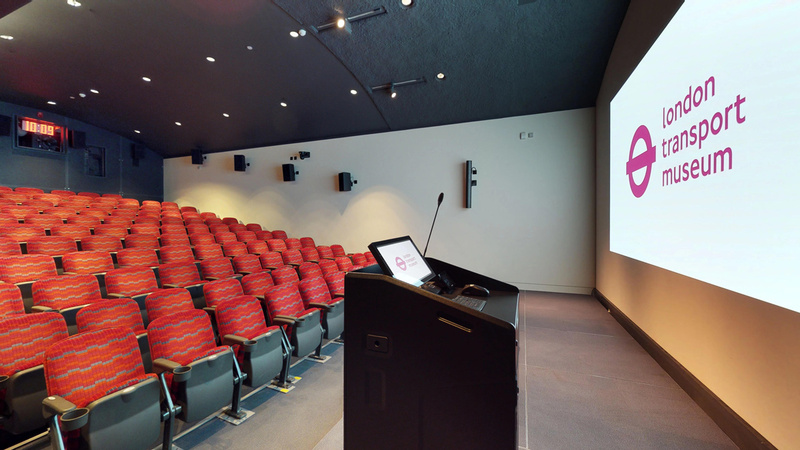 A panasonic ultra short-throw projector was installed to maximise the functionality of the space by allowing additional presentation setup, thereby increasing the capabilities and scope of the theatre. A lectern gooseneck microphone completes the package. A 3-by-3 video wall and audio system were installed, ensuring a seamless experience during event pre-registration and catering breaks. The video wall offers additional branding promotion opportunities for businesses, potential display of contextual information or duplication of on screen events within the theatre. The experience is further enhanced by the offering of background music to welcomes guests. 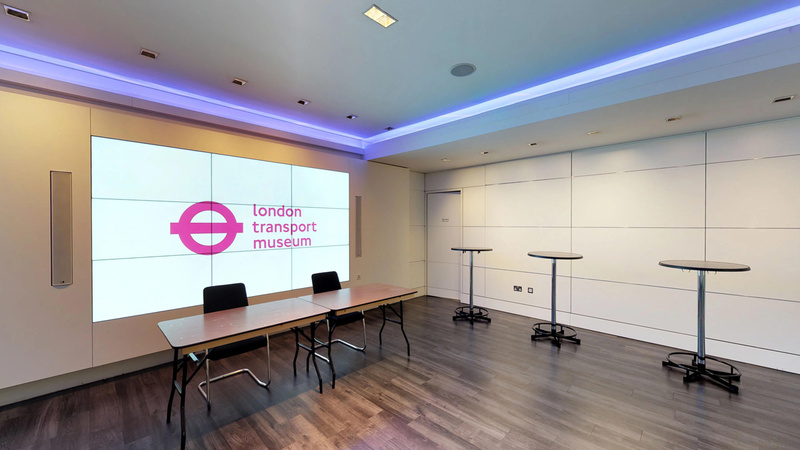 To ensure that the London Transport Museum technical team were fully trained and confident in the new audiovisual systems, a comprehensive handover was undertaken, complete with a manual outlining equipment technical details including operational and maintenance information.